CPSBB Director Assoc. Prof. Dr. Tsanko Gechev along with Assoc Prof Dr. Milen Georgiev and the vice mayor of Plovdiv Stefan Stoyanov participated in the tv program Znanie.BG on the National Television. 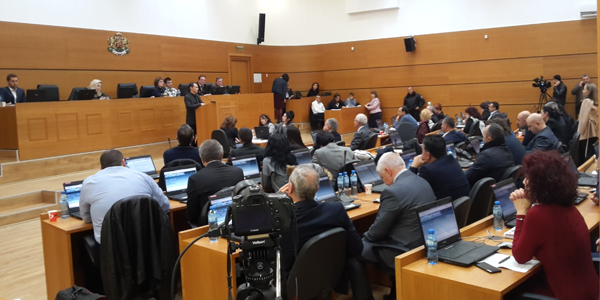 With complete unanimity, the Plovdiv City Council voted to grant land and the right for construction to CPSBB. Deputy Mayor Dimitar Katsarsky was the submitter of the proposal. Before the vote, Mayor Ivan Totev spoke out in support of the project. The mayor said: "We are behind the project. In the whole Operational Program in Bulgaria, there are only four such centers. Now we have a project directly funded by Brussels, and for the first time, we are a leading country, not partners. CPSBB is prestige for our city".